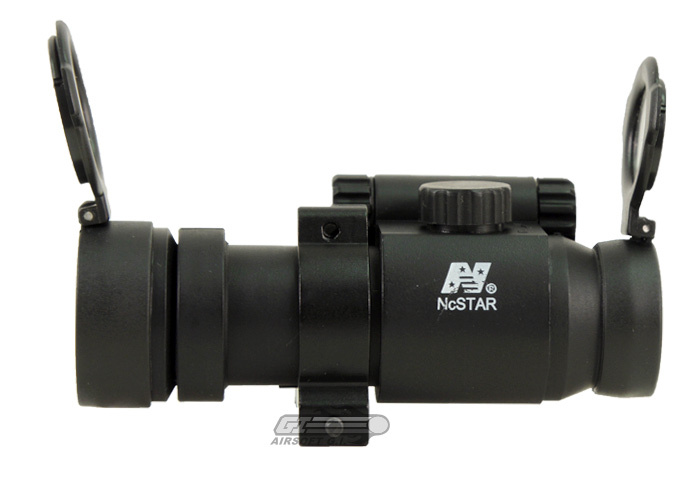 Founded in Southern California in 1997, NcSTAR's mission is to consistently provide superior quality optics and sporting accessories at affordable prices. They are dedicated to providing superb customer service, setting the highest standard in the industry, with a warranty that is second to none. They provide innovative and cutting edge optics and accessories by following the latest industry trends and listening to their customer's feedback. Innovation and Technology have always been key elements behind NcSTAR's Product Development. Their products are designed in America using the latest state of the art software and rapid prototyping equipment. Their expert development team creates, evaluates, and tests every aspect from conception to the finished product, designing products By Shooters - For Shooters. 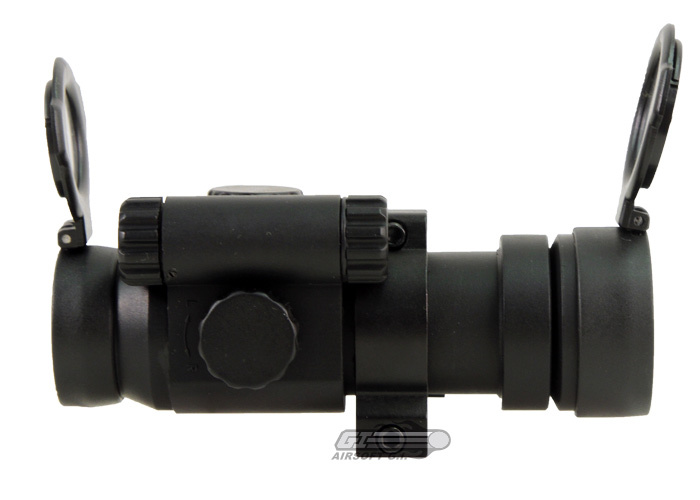 The NC Star Red Dot is an Aimpoint-style red dot that uses a polymer housing and low mount. Very good scope. it worked perfectly out of the box and really helped me put my shots on target. Great for beginners who don't want to drop a lot of money on a RDS. The scope covers feel plastic and flimsy. The sight is plastic but feels strong. Hard to use with full face protection. 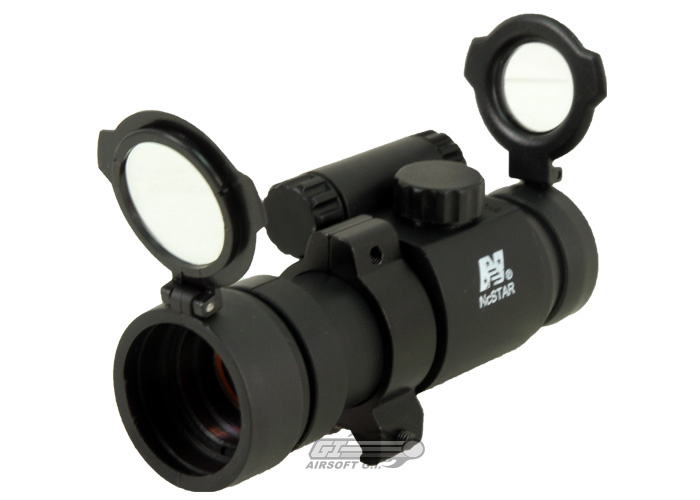 This is a great scope for with a great price. i just put it on my m16 it made look cooler. About a week ago I received my NC Star Red Dot. It has 3 Brightness levels ,but that really is standard for red dot around this price range. It is well built and you get your moneys worth. Comes with "see through" dust covers that you can actually use the red dot while they are down. Beefy brightness switches (So it just won't flip on accident). Includes with TWO sets of batteries. 4 in total. Also includes the tool for tightening the mount with. Nice box with instructions and warranty card. Slight pain to mount but after mounted it sits perfectly on your rail system. You might need a Rail riser in order to aim down sights unless you have in on the handle bar sight rail. I want this scope for my airport gun but don't now if it will fit. Yes, it should fit fine. does the lens covers double as protection against bbs? Is there a built on laser to this? This optic sits much lower. You will need a riser. Presume you meant to ask what battery. It should use the button cell LR44 Battery. It is recommended because the optic may be blocked by the front sight. can the mount this comes with be replaced with a higher mount? Yes, any 30mm scope mount should be compatible. What sight risers will work with this scope? Is the mount on this sight removable and will I be able use a cantilever mount instead? Thanks. Im pretty sure it is a CR123A but im just looking for conformation. Yes, this should have a 30mm tube.